Someone is about to make a killing in the music industry. Why would songwriting legend Gideon Pike mysteriously disappear just when he is about to turn his 30-year career into a multi-million dollar profit? 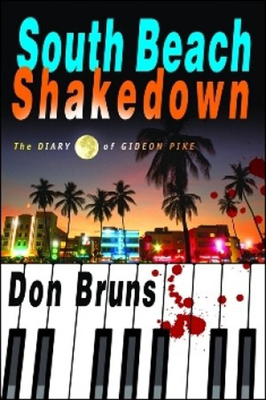 Music columnist Mick Sever is back in Don Bruns' third suspense masterpiece. This time he's looking for answers and his missing friend in the gritty backrooms of South Beach's biggest nightclubs, dodging suicide speedboats and running from sniper fire. What surfaces is how the major players in the music industry are not making the headlines, they're just pulling the strings that create them. Hit it right and the royalties, even someone else's, can rake in millions for the rest of your life. The key is finding Gideon before Korean mobster Jimmy Shinn does. Jimmy is ready to cash in on the one secret that will bring Gideon to his knees and strip away what's left of his career, his fortune, and his life. Whoever gets to Gideon first will either save him or pull the trigger. The deadly race is on.